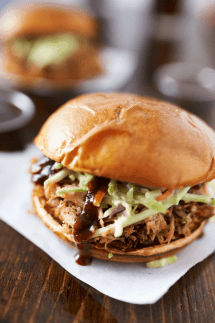 Slow Cooker Dr. Pepper Pulled Pork Sandwich - Perfect for a Crowd! These Slow Cooker Dr. Pepper Pulled Pork Sandwich are amazing, and would be great for a party! There is no pre-cooking and the ingredients are simple but pack a flavorful punch. A slow cooker, by definition, is a life-saving cooking appliance no mom should be without. I’m not kidding. A slow cooker makes for easy party dishes, set-it-and-forget-it dinners, and desserts you’ll want again and again. A slow cooker, aka crockpot, is the one kitchen appliance that every home should have, along with an amazing cookbook of easy, time-saving recipes the whole family will love. 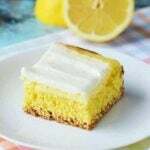 We have just that for you today and a peek at one of the delicious recipes that you’ll find inside the book! 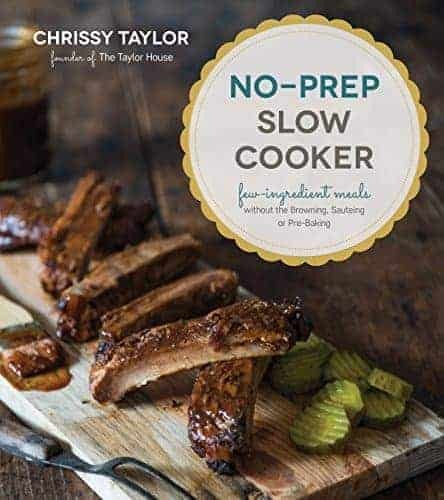 That’s why the new cookbook, No-Prep Slow Cooker: Easy, Few Ingredient Meals Without the Browning, Sauteing or Pre-Baking by Chrissy Taylor is a MUST for any easy recipe lover. This book is PACKED with family-friendly recipes that save you time and money in the kitchen. Love your slow cooker? Have you tried an Instapot (or Instant Pot)? It is basically the opposite of a slow cooker and cooks everything REALLY fast! 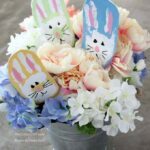 Check out How to Use an Instant Pot and some amazing Instapot Recipes! I’m honored to share a recipe from the book, but for over 100 more delicious recipe ideas you’ll want to pick up your own copy from Amazon! These Dr. Pepper Pork Sandwiches are amazing, and would be great for a party! There is no pre-cooking and the ingredients are simple but pack a flavorful punch. Love these Pulled Pork Sandwiches recipe? Tag us! These Slow Cooker Dr. Pepper Pulled Pork Sandwiches are amazing, and would be great for a party! There is no pre-cooking and the ingredients are simple but pack a flavorful punch. Add the Dr. Pepper, BBQ sauce and garlic powder. Cook on low for 6 to 8 hours or on high for 4 hours. For more recipes like this, pick up a copy of No-Prep Slow Cooker: Easy, Few Ingredient Meals Without the Browning, Sauteing or Pre-Baking by Chrissy Taylor today! You’ll love how easy the recipes are to make and you won’t have to go searching for crazy ingredients, they’re likely in your kitchen now!